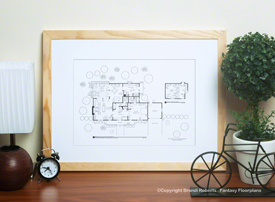 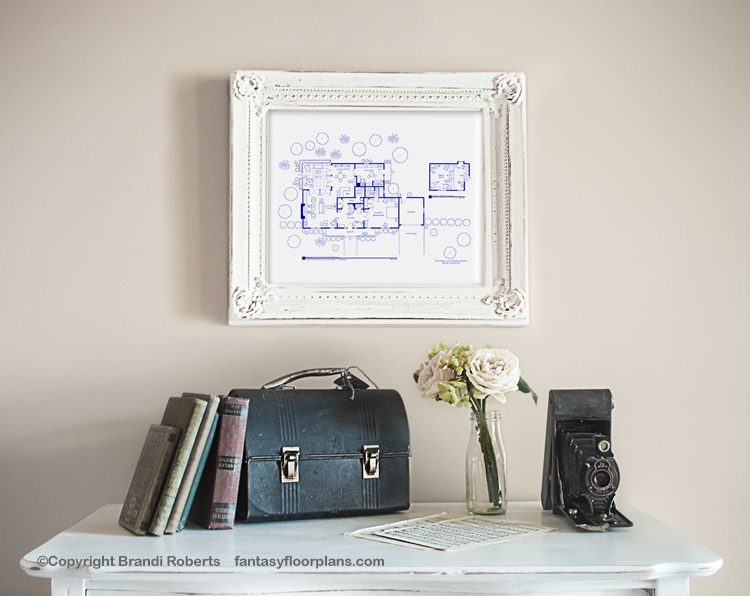 Buy hand-drawn artwork of I Dream of Jeannie Floor Plan! This very hip bachelor pad belongs to Cocoa Beach based astronaut Tony Nelson. 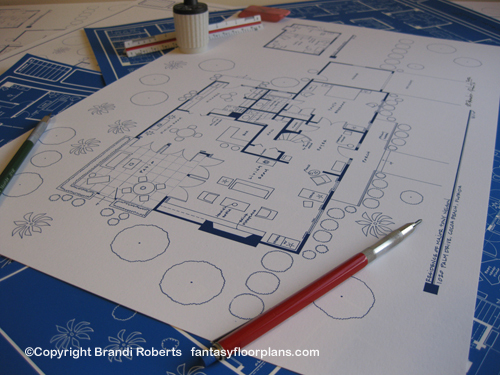 My fictional and expertly hand-drawn I Dream of Jeannie home floor plan features one bedroom and 1.5 baths. 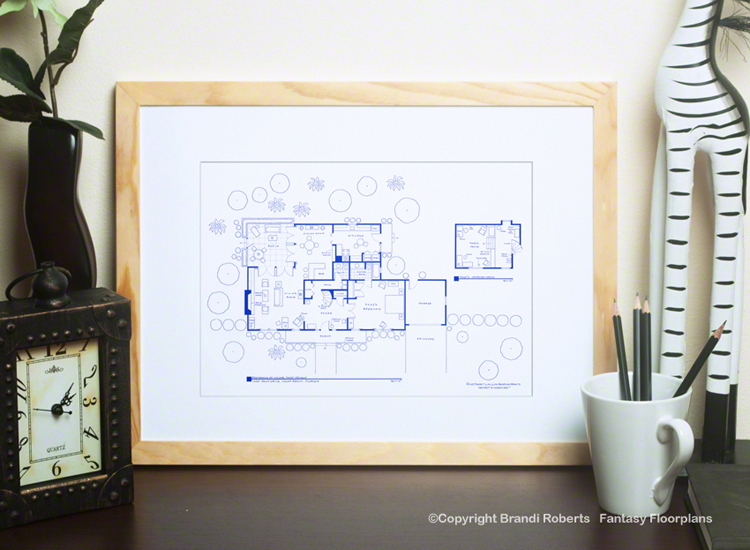 There's a large living room and on the coffee table you'll find Jeannie's bottle. Accessible by large glass doors, from both the dining room and living room, is a terrace with spectacular views of the ocean. Tony's upstairs office/den is accessed by the spiral stairs in the foyer. 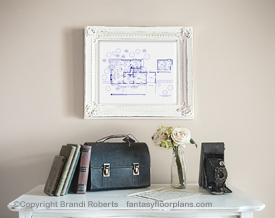 You'll see his NASA photos on the wall and telescope in front of the window. 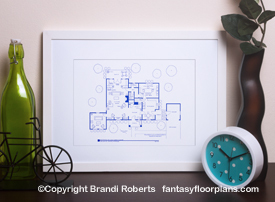 If you love I Dream of Jeannie then my floor plan of Tony's home is the perfect piece of art to celebrate your favorite show! Hang on your home or office wall for truly unique piece of art that is sure to generate sparkling conversation!